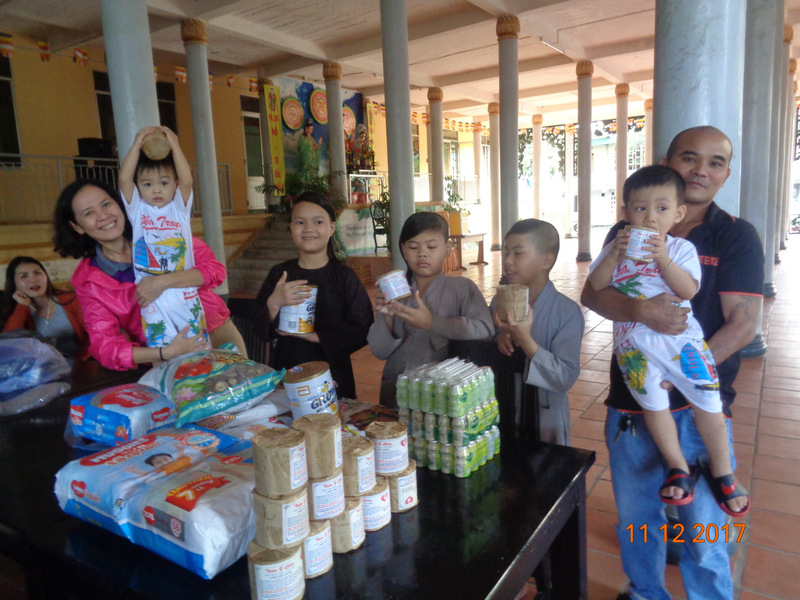 On December 11, 2017 we visited the Loc Tho Charity School and Orphanage with lots of healthy food supplements for the children. 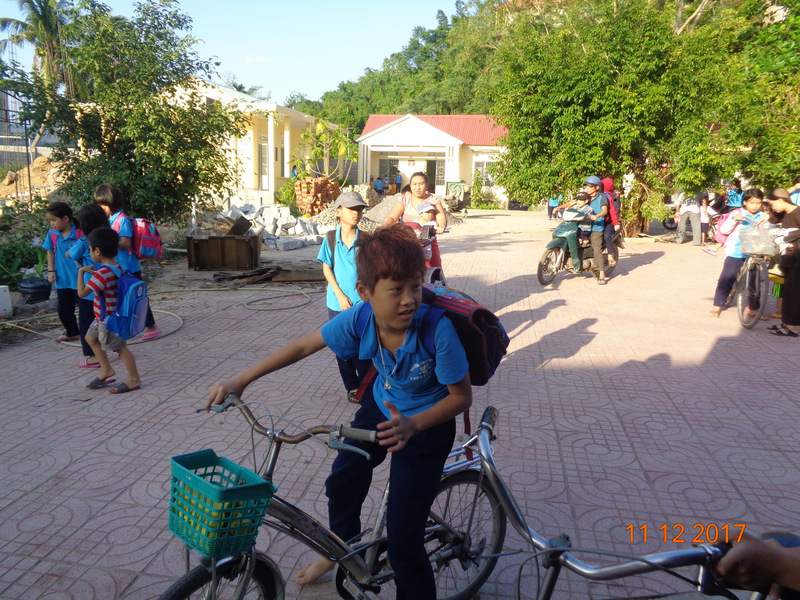 Loc Tho provides free primary schooling to over a hundred children from poor families in the surrounding community. 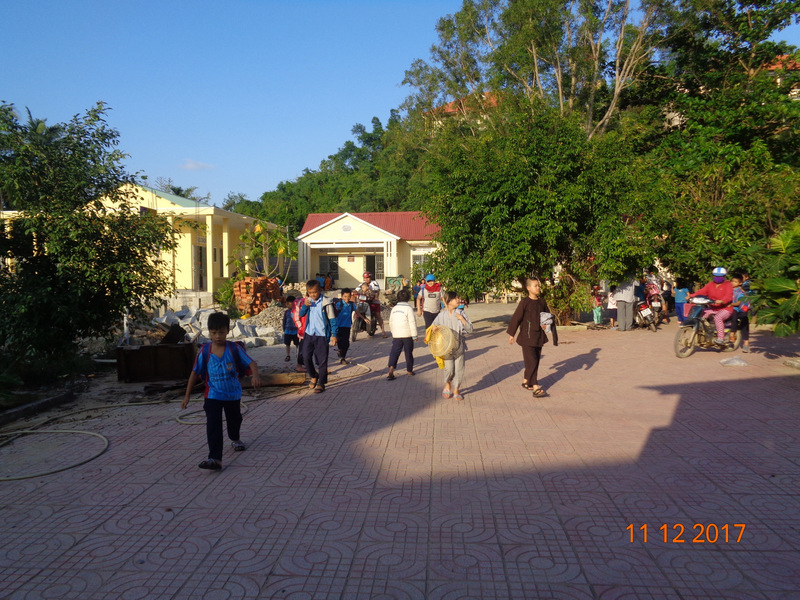 The school has accredited teachers, and the nuns who run the school are dedicated to ensuring the children receive a basic education. 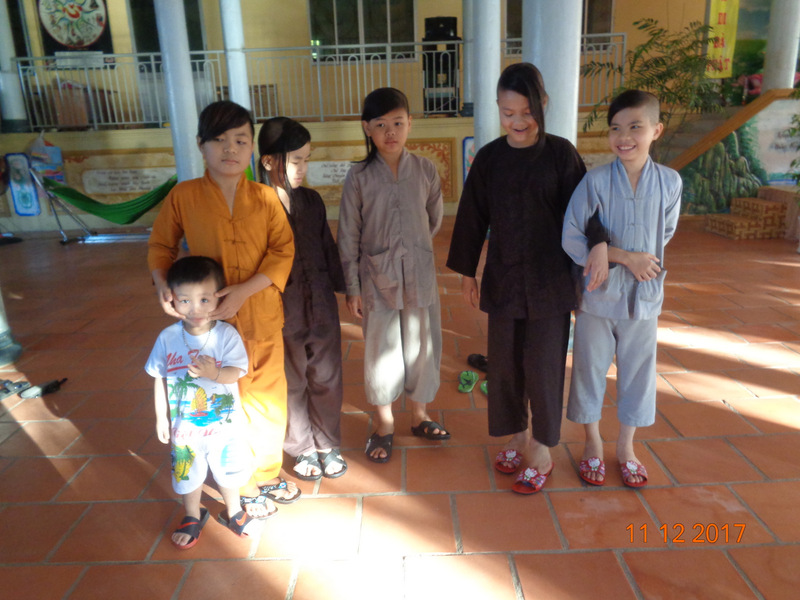 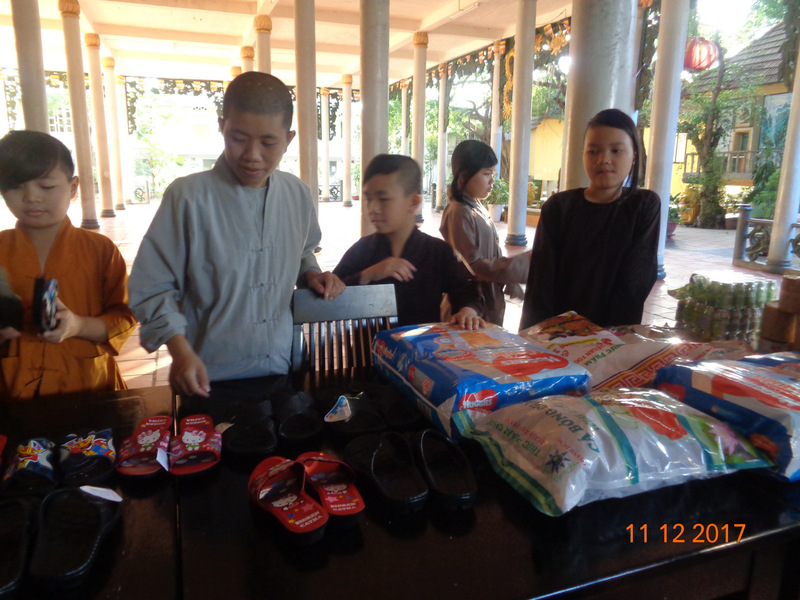 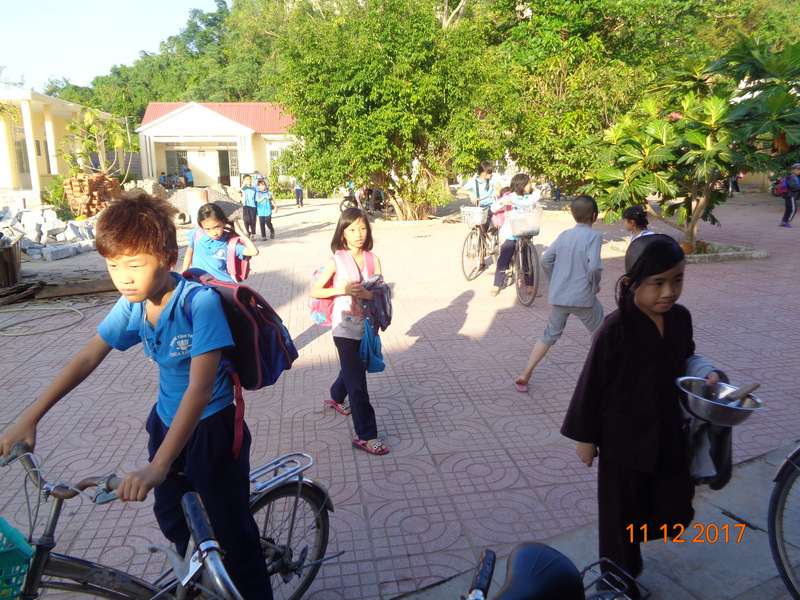 There are also a number of orphans being cared for by the nuns at the pagoda. 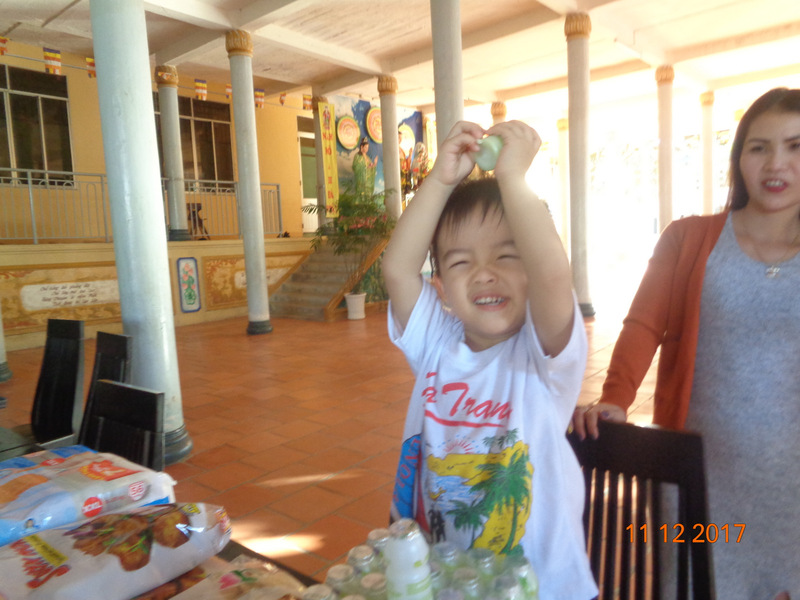 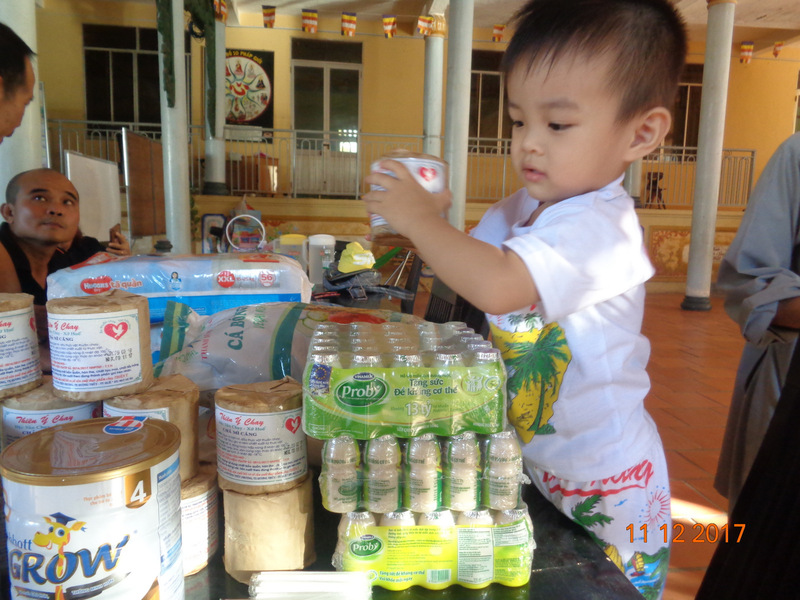 Loc Tho provides meals for the children, and we visit every month with healthy food supplements. 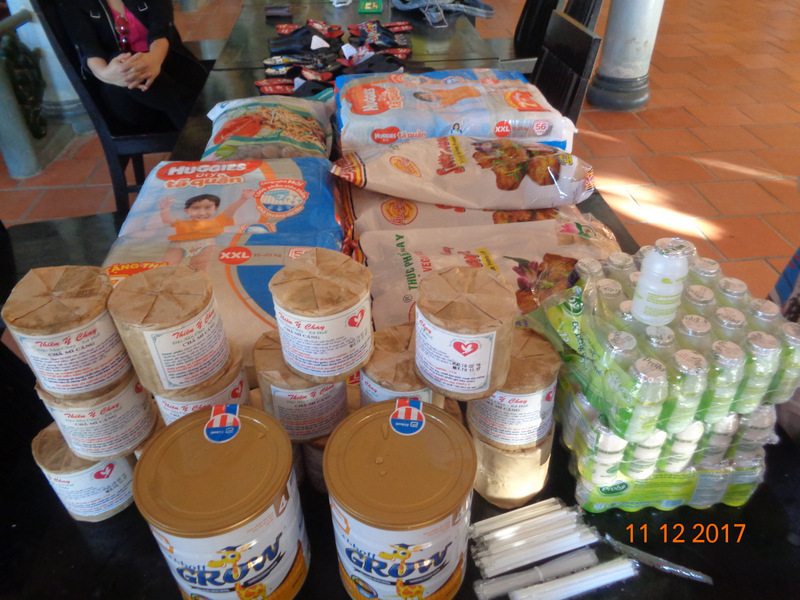 On this visit, our team brought packages of soy products, bags of tofu, meat cakes, bags of mushrooms, seasonings, cans of baby formula, diapers, and juice snacks. 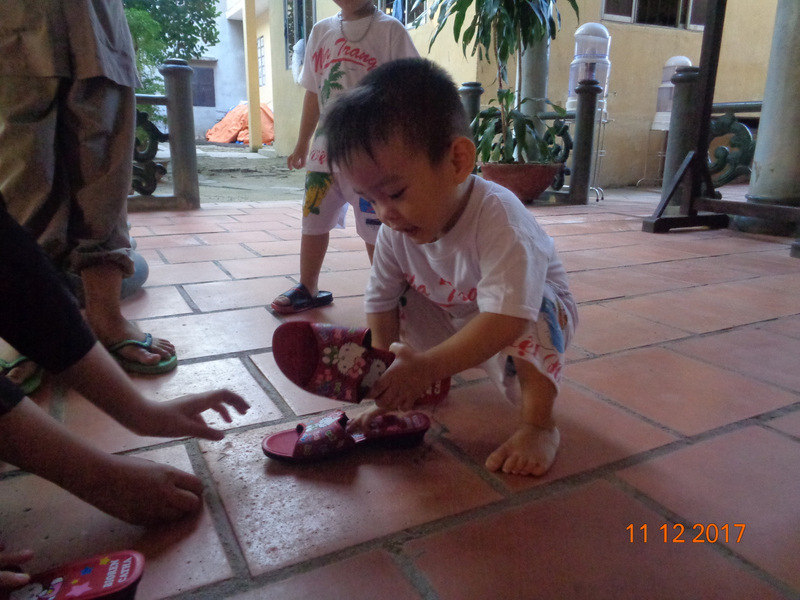 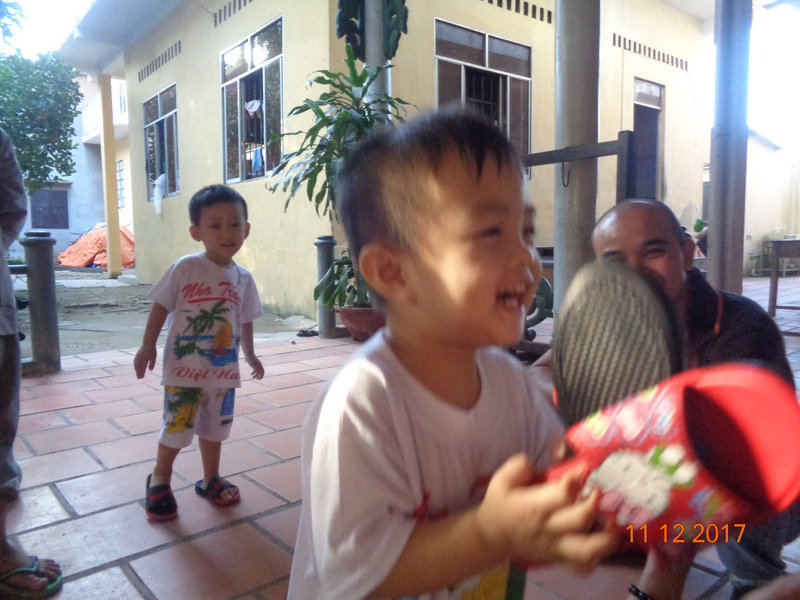 We also brought some replacement sandals for some of the children, who had worn their old pairs out. 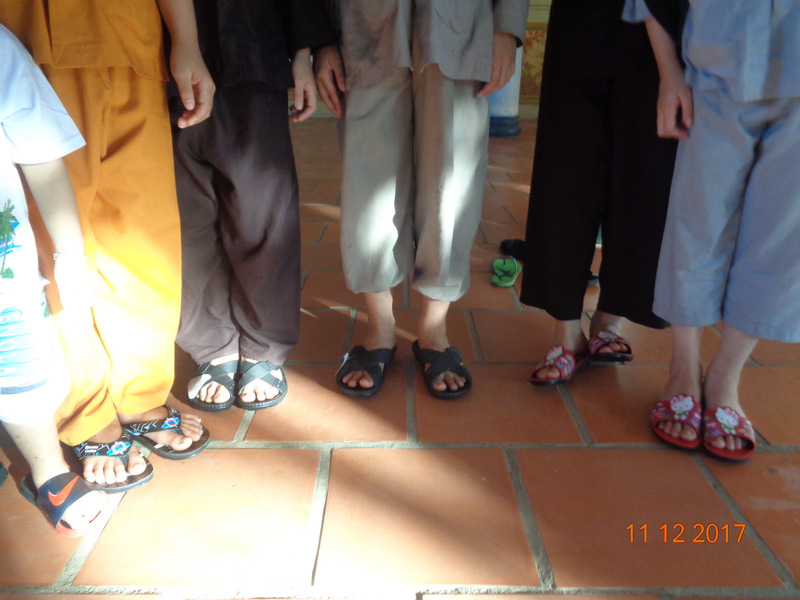 Our team spent time with the nuns while the children tried on their sandals and enjoyed their juice.